I’ve been seeing Patricia Pajak at A&L Clinics in Ipswich since January. I went to see her to find out about hypno-gastric banding and ended up returning for NLP, CBT and hypnosis to help me cure my overeating. I’ve had to do a lot of work in the past few weeks – from writing letters to myself at different ages, thinking up five compliments about myself every day, keeping food diaries, and writing a description of my perfect life. All of these things help to get to the bottom of why a bit of stress sends me to the biscuit tin. In one session, Patricia put me into a light trance and asked me to come up with alternative things to do when I want to eat to relieve boredom, stress or other emotions. Then, in our most recent session Patricia taught me ‘anchoring’ – an NLP technique that helps you deal with emotions and change them at will. 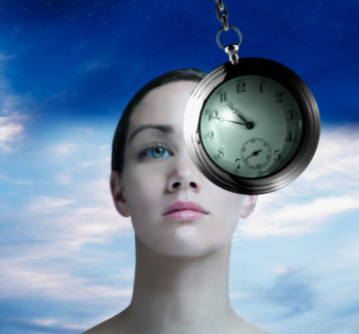 Under hypnosis, she took me back to a time when I felt great. Then she gave me an anchor, a word that would evoke those feelings again, once I’d really experienced it emotionally. Then, she took me back to a time I’d eaten when I was feeling stressed, and what was going on at the time. When I’d got fully into that mind-set, she gave me the anchor word and asked me to once again go back to the ‘nice place’. We did this several times so that it would be ingrained. Patricia apparently used this technique herself to overcome a fear of overtaking lorries on the A14! It’s really effective and after a few tries I was actually finding it harder and harder to get back into the frustrated frame of mind I’d recalled the positive feelings were so strong. I walked out of the clinic feeling a million dollars! Next week we’re working on ‘making healthy choices’ which will involve being put into deep hypnosis, which is a new one for me. Oh, and by the way…I’ve lost ten pounds! 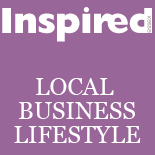 This entry was posted on March 15, 2012 by inspiredessex in Beauty & Wellbeing, Chatty, Ladies Time Out, What we're up to and tagged andlclinics, Chelmsford, hypnotherapist in ipswich, inspired magazine.